Alexander Calder mobile at the Hemmens Auditorium (Photo by The Elginite). Most people are familiar with baby mobiles. Fewer know them as an interior decorating accessory. And even fewer know them as a fine-art form. What are mobiles? Who invented them? To start, mobiles are a type of suspended sculpture based on balance and characterized by the ability to move. They range in size from a few inches to more than 100 feet and can cost anywhere from $10 to almost $26 million. Guest post by Marco Mahler - written for Houzz. Click below to open-up full length article with fabulous photos of this floating art form. Part I introduced us to rainbow and the science behind the phenomenon. 2. History - What has science discovered by studying the rainbow? Aristotle was the first to observe the geometric relationships of the sun, the observer and the rainbow. Throughout the centuries many attempts we made to offer a scientific explaination but Aristotle's observations ruled in the Western world. 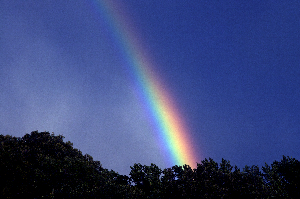 13th century, Roger Bacon discovered that a person had to be 42 degrees in front of the rainbow in order to see it. Early 17th century - Descartes found that the primary bow was caused by a single internal reflection inside the raindrop and that could be caused by two internal reflections. 17th century Sir Isaac Newton saw that droplets act as a prism. And that the sun’s white light was composed of 7 colours, where a glass prism could separate into the full spectrum of colours. 19th century, Thomas Young discovered that our eyes have 3 cone receptors that see red, green and blue. And that the eye mixes these colours according to the wavelengths of light. Also in the 19th century, George Airy, developed the mathematical model to calculate all of the colours of the rainbow, their strength and proportion. 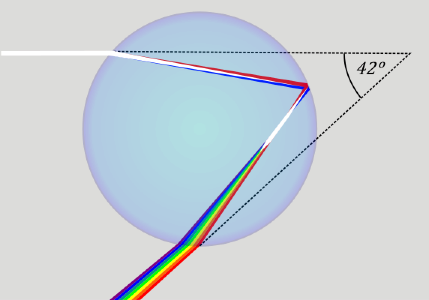 A few decades later, the theory of light scattering and physically describing the rainbow was developed by Gustave Mie. It is only well into the mid 20th century that computers helped us use all this information and apply it to other scientific discoveries such as computer graphics, lighting and cancer research. Next-up: 3. Culture – How do we express culture through rainbows? And why is it important? An illustration of Aristotle's rainbow theory. 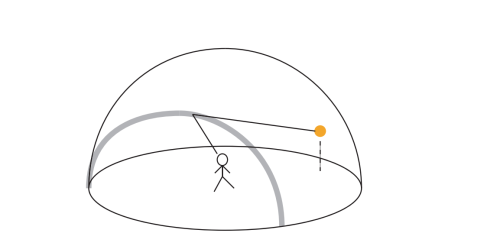 Clouds on a hemisphere resting on the circle of the horizon reflect sunlight to the observer where the angle is equal (to some constant angle). 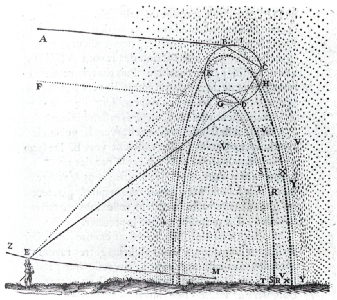 Rene Descartes' sketch of how primary and secondary rainbows are formed. Roger Bacon's optic studies - White light separates into different colours on entering the raindrop to dispersion, causing red light to be refracted less than blue light. Roger Bacon - A triangular prism, dispersing light; waves shown to illustrate the differing wavelengths of light. Thank-you to all the photographers who have made this humble 2nd posting more lively with great illustrations and photos. For photo credits please click on the photo. This will take you directly to the website from where the photo originated. Sound - Are You Talking To Me?